Christmas 2018 is just a few days away! How time flies indeed during this festive holiday season and it has been busy days since holiday season kicked in last November. We have been thinking of what’s easy to prepare for noche buena or our advance family get-together this weekend for Christmas with what we have in the house this time. As I went through my canned goods supply, I found we have many Ligo products in store. 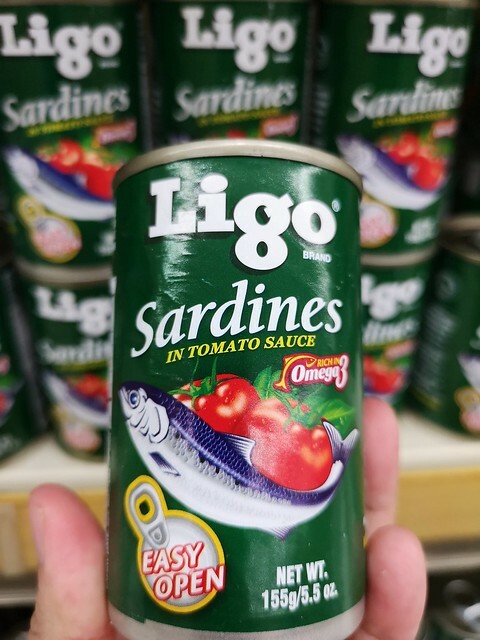 I bought many of these lately since I have been craving for sardines omelette quite a few times over the recent weeks. It makes me eat rice more though coz it really perks up my appetite even my little guy who is actually quite choosy with food and not much of a eater this year unless he really likes the viand. 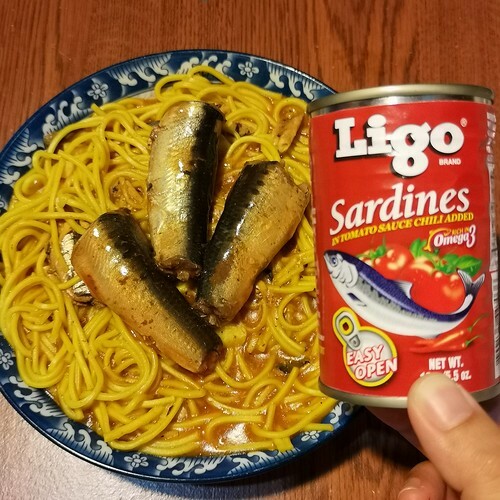 I have found just like me that when we cook omelette using Ligo Sardines especially the red labeled one – with chili added variant, he gets to eat more too during our meals at home. 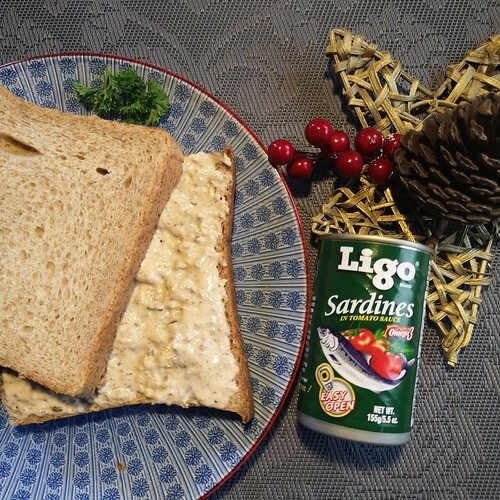 Since it is Christmas season, this year we are making Ligo Sardines part of the “STAPLE FOR THE CHRISTMAS SEASON” and maybe even beyond the season, we can prepare many home made dishes using the brand product we have grown to love. 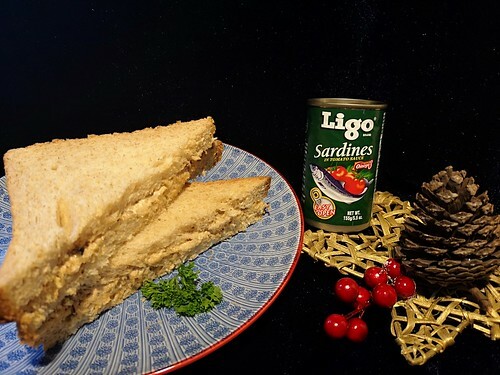 The festive season calls for a wide, varied spread that will not be complete without Ligo Sardines. 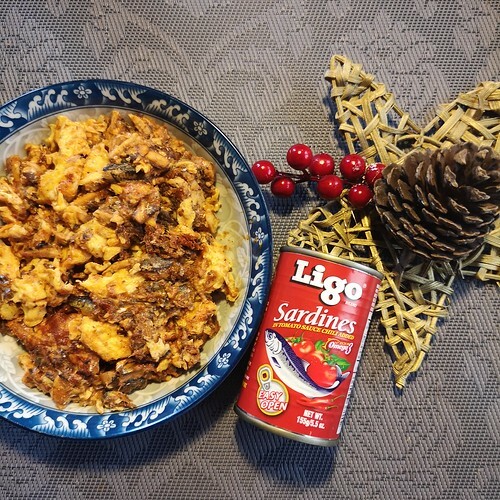 Here are two recipes using Ligo Sardines for the holidays that I promise is so easy to prepare and make. Cook shell pasta according to cooking instructions on the packaging. I used Prima shell pasta and cooked it for 8-10 minutes. 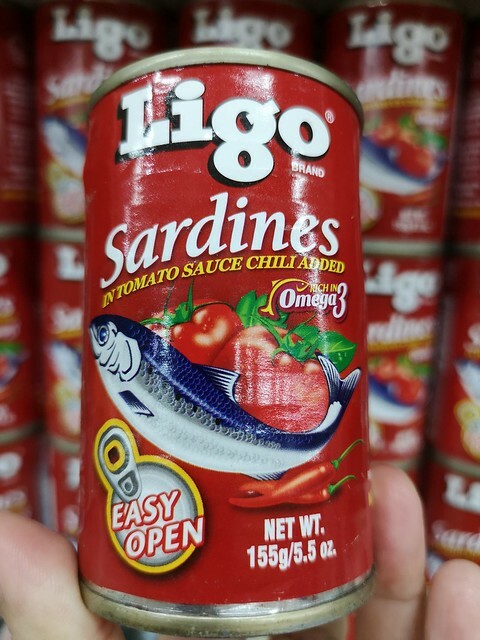 Crush or mash the Ligo sardines without the tomato sauce in a separate bowl. Add the mild cheese spread. You may opt instead for mayonnaise and grated cheddar cheese or any cheese of your preference. Then add this mix to the cooked shell pasta. You can use any other pasta you prefer. Top with basil leaves. 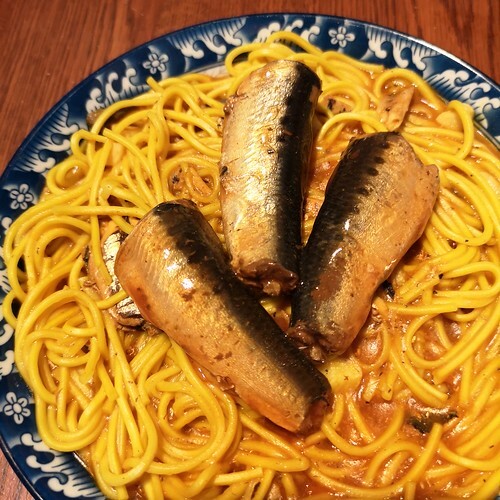 Cook pasta in a pan of boiling water until tender. Drain and place in a bowl. 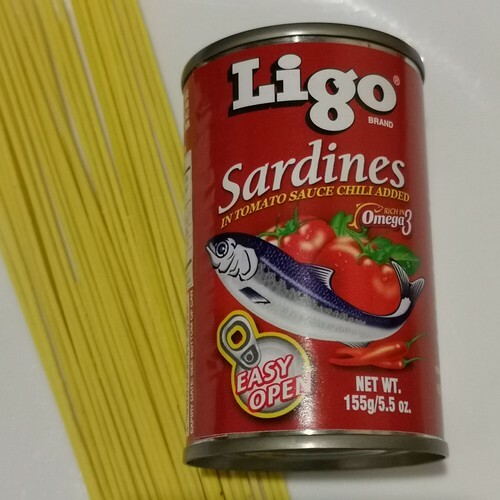 Crush the Ligo sardines in tomato sauce using a fork until properly mixed in a separate bowl or container. Pour it over the pasta and mix well. Top with grated cheese, basil leaves and sliced green olives (optional). Viola! You can add other toppings depending on your preference. 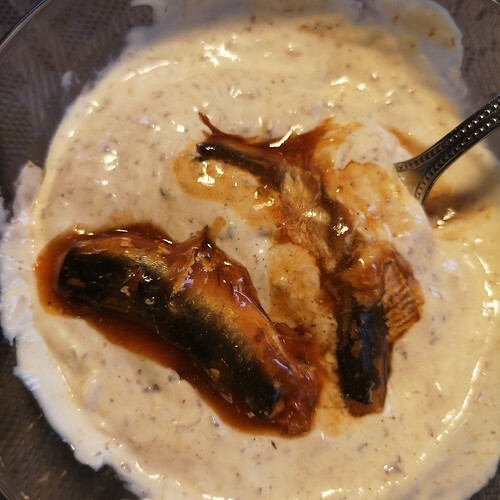 I made another bowl where I added condensed milk or you may use mild cheese spread in a pack instead of grated cheddar cheese. I enjoyed this dish simply with no topping. 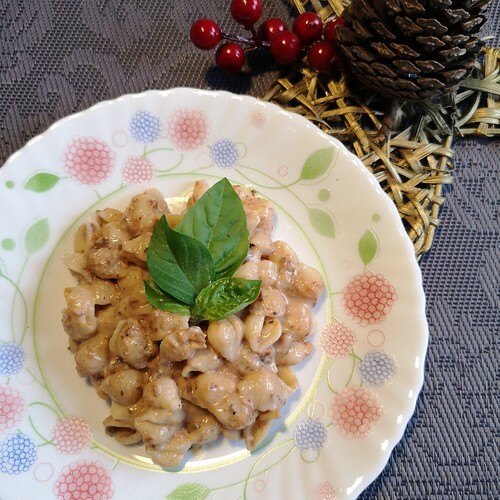 I guess there comes a time that you opt simple dishes as long as you share it with your loved ones this Christmas. 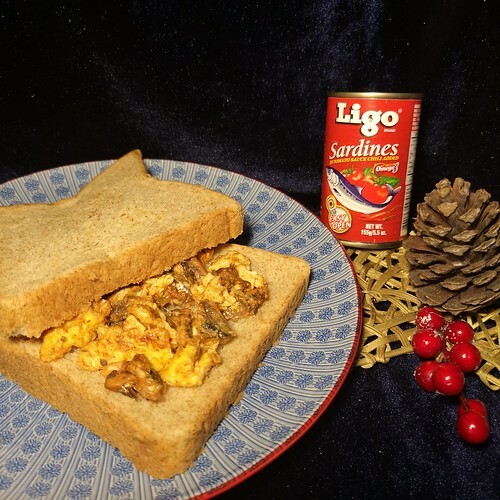 I will be thinking of other dishes to make with Ligo Sardines. If you have any idea, I would love to have you share it with us! 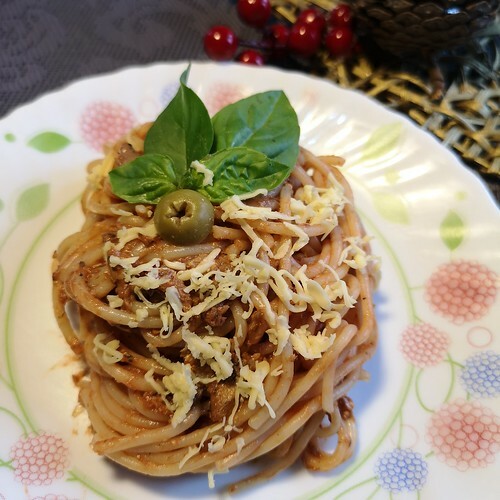 I guess more and more mommies like me are opting for healthier options to add to their usual pasta dishes for noche buena or family meal gatherings this holiday season. Enjoy the holidays! Have a blessed Christmas and a healthier new year for all of us! Eat well and choose healthy eats this holiday season! 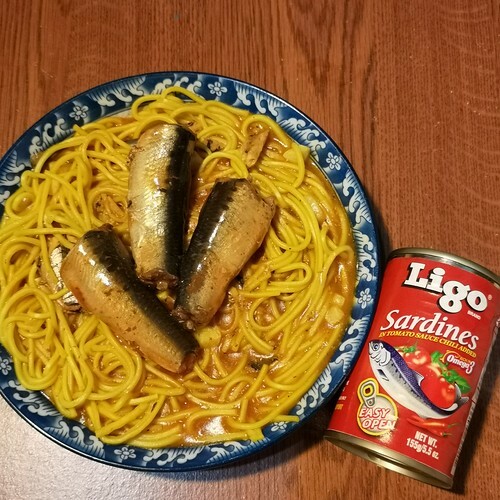 Inspired by the cooking of Tom Rodriguez, the singer and Kapuso actor who made the Ligo Sardines ad trending on social media a few months ago, we have been cooking our own version of the dish to get a taste of Ligo Sardine’s Odong na Lami. This was of “Odong na lami” version of Chef Pauline of Rekado, a Filipino fusion cuisine restaurant in Davao City. A very simple and easy to cook dish. Simple yet delicious which many Filipino families like us love to cook and share for lunch or dinner with their loved ones for many years now. This is one of the odong na lami dish that my boys and I loved to enjoy when dining at home. I do recall my mommy would cook this at the home I grew up at quite often when my siblings and I were much younger. 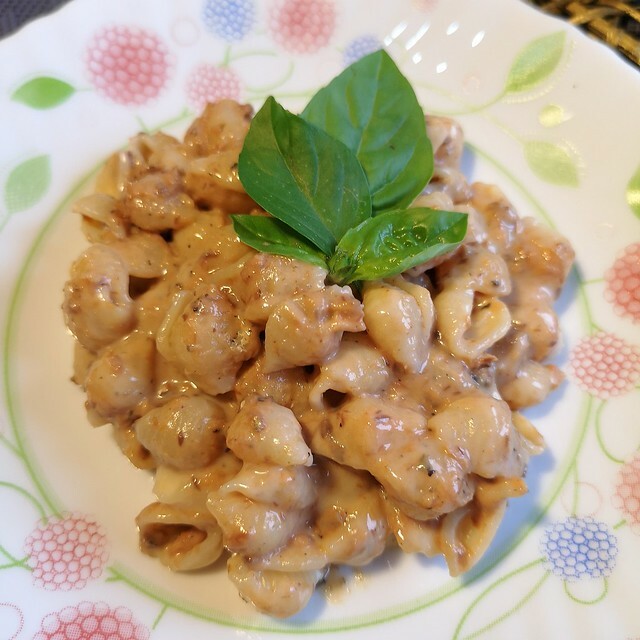 My mom, a housewife, would often cook this easy to cook and an affordable dish at that. 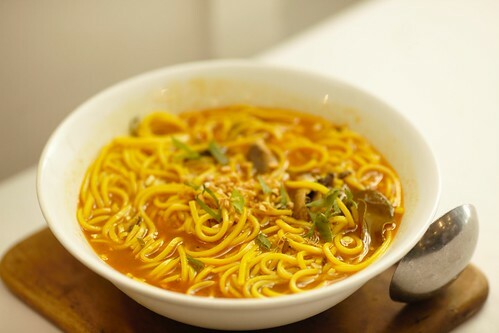 She would sometimes use misua noodles instead of odong. But the odong has been a very familiar Pinoy kind of flour noodles. For moms who are on a budget, this very affordable soup dish comes as a quick and easy to prepare dish for the whole Filipino family to share with. Cooking this at home with my boys makes me miss home and my mom’s cooking too! Odong is a popular soup prepared by Filipino families not only by ordinary families but I have heard of friends from well-off families who also cook and eat this popular Pinoy dish. 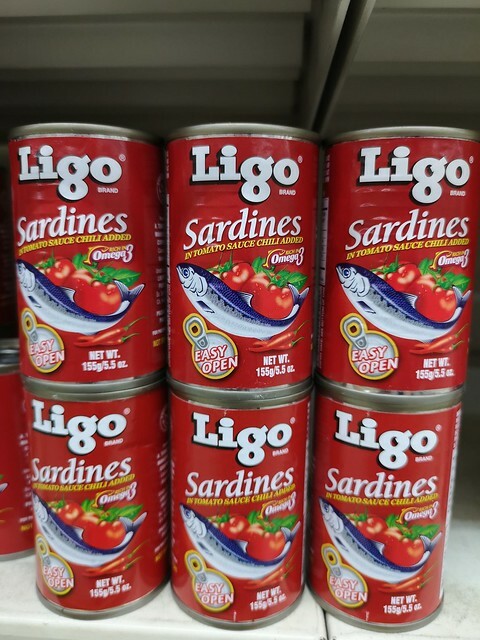 We’ve been using Ligo Sardines of course, thanks to Tom Rodriguez trending ad. 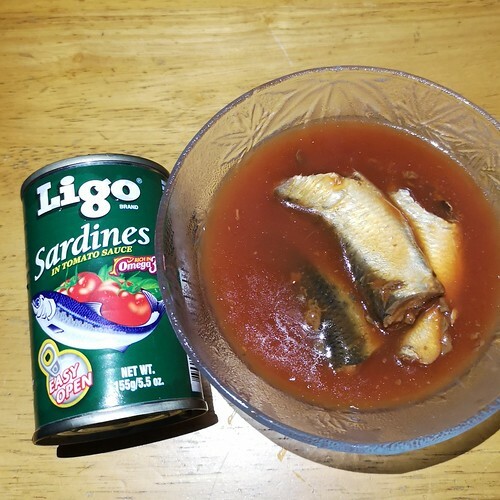 Instead of the regular Ligo Sardines in tomato sauce with the green label, we love using the red labeled can of Ligo Sardines in tomato sauce chili added. 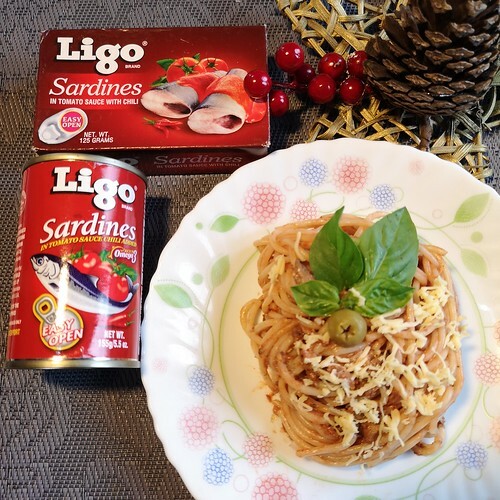 You can easily find stock of Ligo Sardines in local supermarkets and even in small groceries, convenience stores and even in sari-sari stores near your homes. These were at the Park N’ Shop in Victoria Plaza Mall where we often have our grocery too. It’s conveniently near our place too. But I make sure now I buy a few more pieces so I have a ready stock at home especially when I crave for sardines. One time recently as we were doing our usual grocery errand in a mall’s supermarket, I watched many people, usually couples older than us choosing odong or misua sometimes from the shelves. I would then see them having a few cans of sardines most often Ligo Sardines brand especially since Tom’s tv ad became really popular. 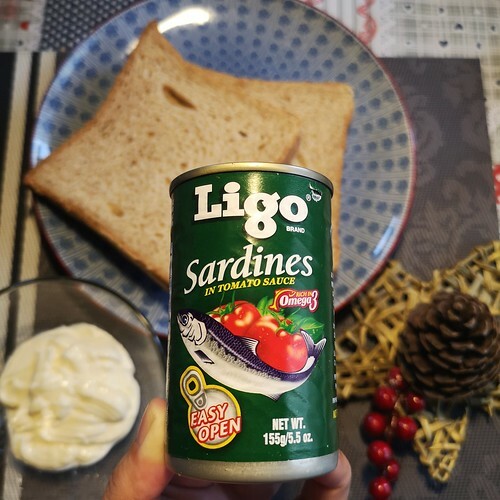 Perhaps even before the ad, I have talked to some random women at the grocery, and learned that those I have chanced upon, their families have long been using the Ligo brand of sardines. As I have said in my previous post, Loving Ligo Sardines with My Boys: Kaon Ta’g Ligo, Davao! 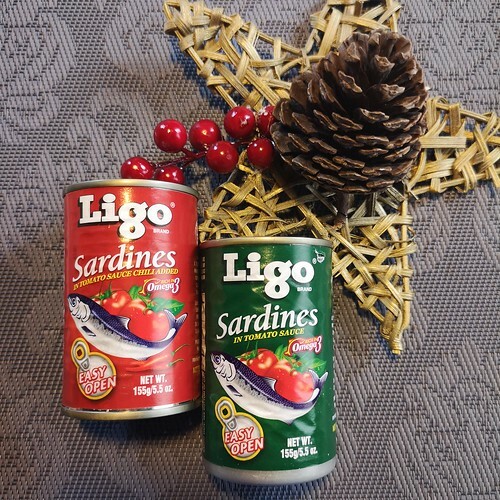 Share the love and if you love Ligo Sardines too and the odong na lami, let us know. Tag us in your social media posts as well! Kaon na ta ug odong na lami, gigutom na pud ko!